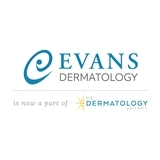 Evans Dermatology (Austin) - Book Appointment Online! Dr. Jack was very thorough and made me feel extremely comfortable throughout the entire exam. He took the time to address my concerns and to explain in detail what was going on. I would highly recommend Dr. Jack and will be back for further treatment. Dr. McClung is great. She listens to what I have to say, is friendly and professional. Her staff are also all wonderful. I've always had positive interactions with everyone in the office.